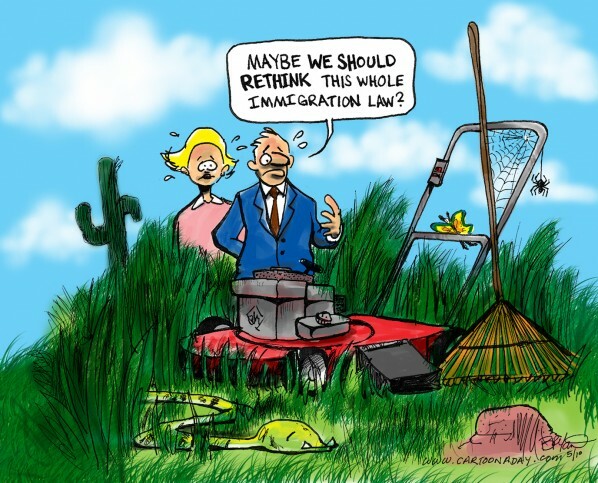 Again, immigration laws in Arizona are at the forefront of everyone’s mind. It may be Arizona Lawmakers biggest mistake, or biggest victory. it seems, so far, the public outcry from the illegal immigrants is obviously against. But surprisingly, the latest poll I’m reading now stats 85% of Arizona residents polled are in FAVOR of the new law. I’m not for it, myself, but I do not live in Arizona. Here is an illustration showing very modestly one of the drawbacks from no longer having cheap, hard-working, tidy, immigrant labour nearby.